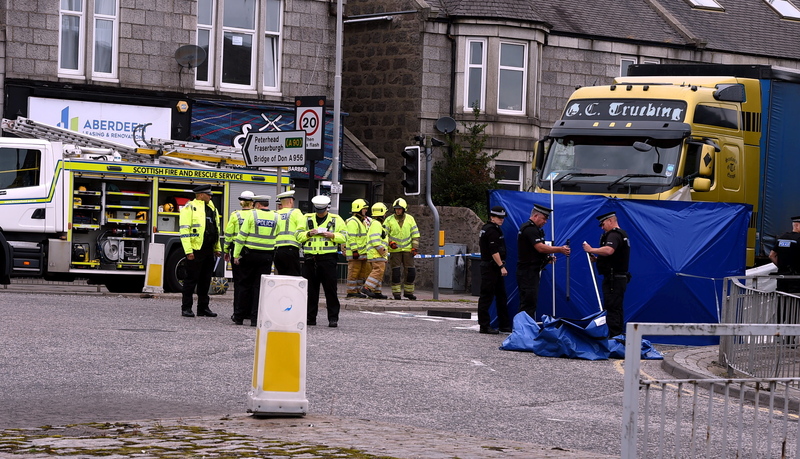 Police have confirmed that a woman in her eighties died as a result of this morning’s crash in Aberdeen. Emergency services were alerted to the incident at around 11.40am which involved a HGV and a pedestrian near the roundabout. Road closures and diversions are still in place at St Machar Drive and at King Street heading towards Bridge of Don. 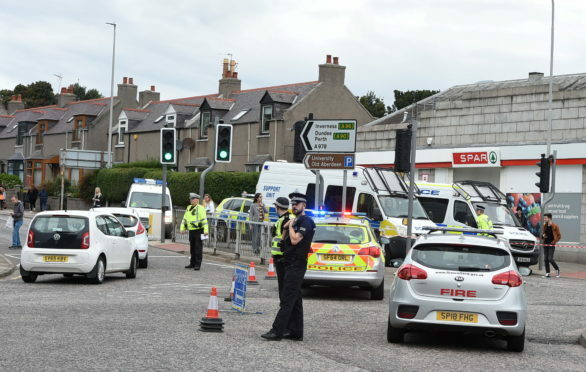 Roads Policing Sergeant Scott Deans said: “Our thoughts are with this woman’s family and friends at this very sad and tragic time. I know some members of the public tried to help at the scene which would have been upsetting, and I would like to thank them for their efforts.